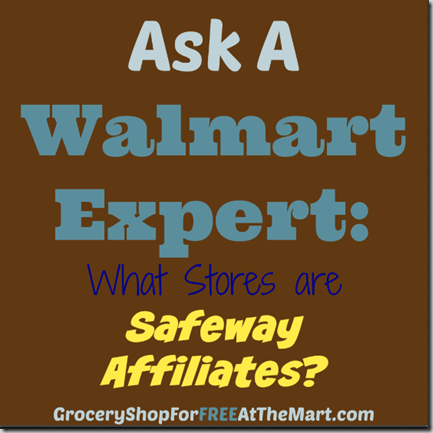 Ask a Walmart Expert: What Stores are Safeway Affiliates? Every week I make my Safeway Price Match list but not everyone knows what stores in their area are actually Safeway affiliates. 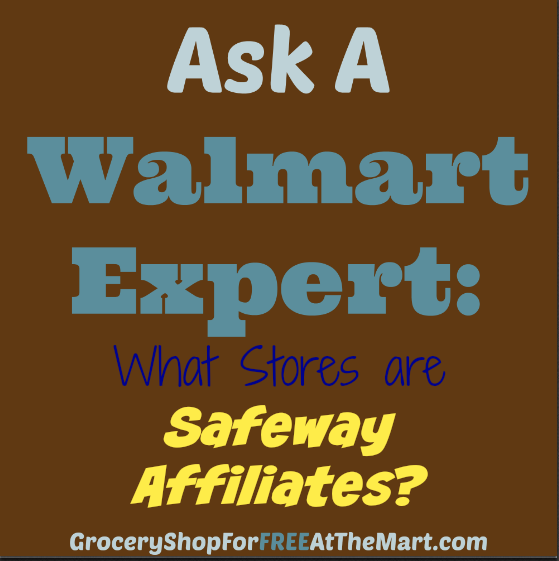 You can find an updated list here but these are the current Safeway affiliate stores. So if you have any of these stores around you, the Safeway Price Match list should work fine for you! It should also be noted that as of January 30th, 2015, Safeway and Albertson’s merged. As of right now, they have separate and distinct sales ads so for our ad matching purposes, they are still separate companies but that could change any time. I’ll let you know if it ever starts looking like they are going to run the same ad across both chains. Thanks to reader Elizabeth Reusch for reminding me to include this note.